My relationship with safaris and the bush has always been somewhat tempestuous. However, as with other things, like red wine, my tastes have matured. 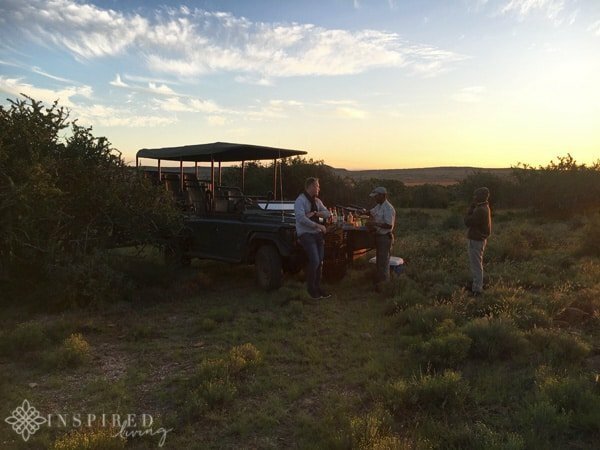 When an opportunity to visit Samara Private Game Reserve presented itself, let’s say I was super keen for my next safari adventure! After a busy start to the year, both Grant and I jumped at the chance to Visit Samara Private Game Reserve! Samara is located in the Karoo, the Great Karoo to be exact. 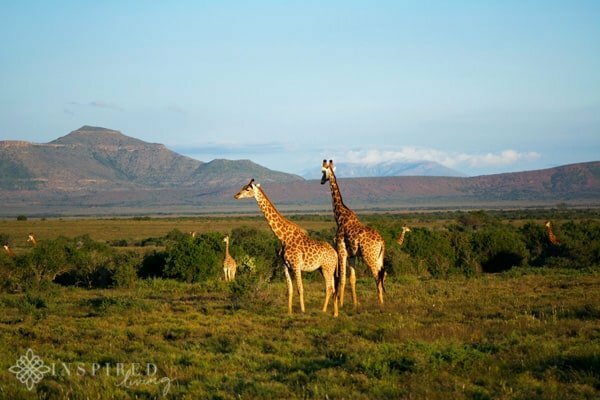 The Karoo is split into two sections, one being the expansive Great Karoo wilderness in the north-east, and the smaller, tamer Little Karoo (Klein Karoo) in the south-west. Samara spans 400,000 km² of semi-desert landscape in the Great Karoo. It is a region characterised by low rainfall and expansive, cloudless skies. Travel from Cape Town can be done by road. It will take you approximately 7.5 hours along the N1, which is the fastest and most direct route, by road. We opted for the quicker option by air from Cape Town to Port Elizabeth. The flight is super quick, and once in PE, we hired a car. Travel time from PE International Airport to the Lodge was approximately 3 hours. Road conditions are not that great which meant having to travel more cautiously. One of the best things for me about Samara is the location and how remote it is. You cannot be further removed from the hustle and bustle of city life. The semi-desert landscape is utterly different to Cape Town. The vast open space gives one a sense of freedom. Another plus of this perfect location is stargazing at night and feeling at one with the universe. Not to forget the breathtakingly beautiful, sunsets. 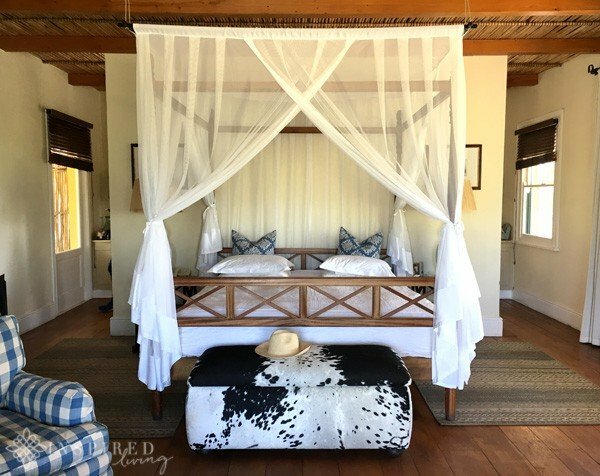 Naturally, luxury accommodation is a big drawcard when on safari. After spending hours tracking various wildlife, there is nothing better than returning to the comfort of your suite. 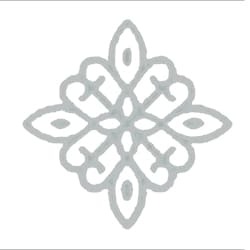 Samara has two five-star luxury lodges sleeping a maximum of 30 guests. 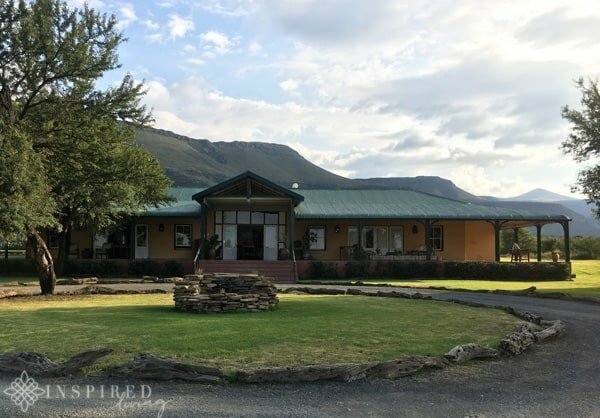 We stayed in the Karoo Lodge, a renovated farmhouse, located on the first property bought by the Tompkins family when they started Samara in 1997. 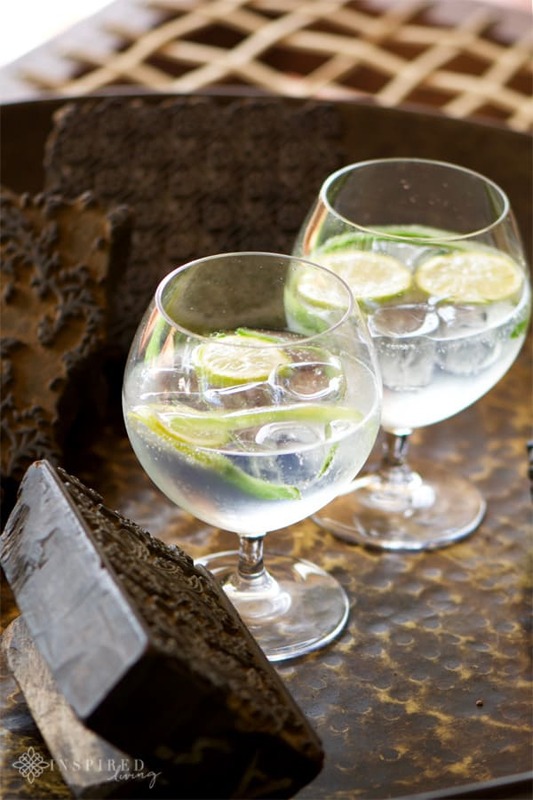 Karoo Lodge combines colonial comforts, with modern day luxuries. The rustic charm of the lodge creates an atmosphere which is welcoming and inviting. 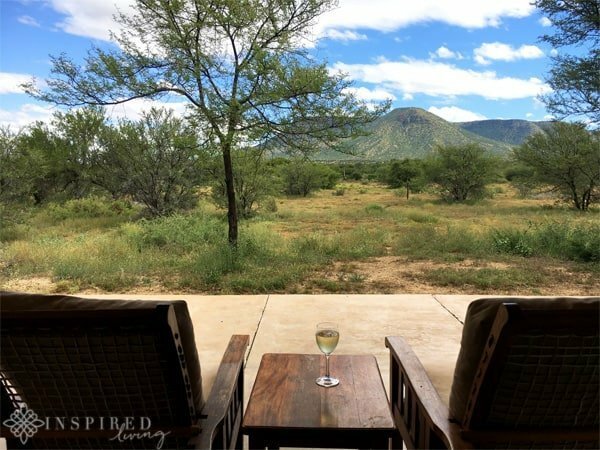 The tranquillity of the Karoo and peaceful environment is the perfect recipe for relaxation. The vast expanse surrounding you is a constant reminder that you are a mere visitor in the natural habitat of wild animals. Guests can choose from nine double rooms of various sizes. 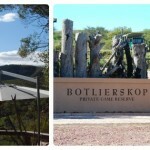 The Karoo Lodge caters for individual travellers, couples and families. You can also book the Lodge on an exclusive-use basis, for up to 18 guests. 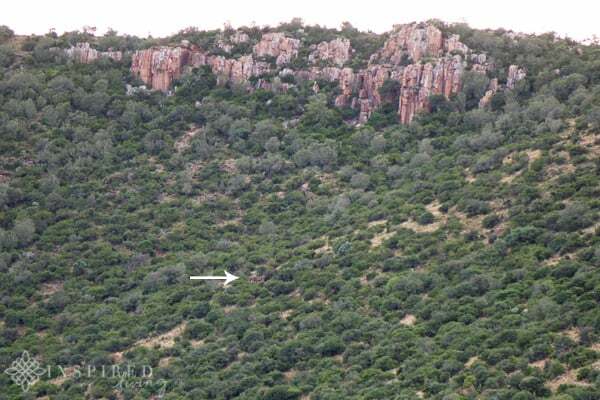 Our Karoo Suite was a short distance from the main homestead. Each suite has a fireplace, air-conditioning and luxury en-suite bathroom with large separate bath and shower, as well as two washbasins. 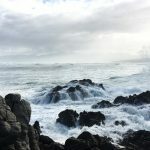 A real treat was being able to soak in a hot bath, which is not currently possible in drought-stricken Cape Town. The suite also had a covered patio, with outdoor seating, perfect for enjoying a glass of wine or a nightcap under the stars. 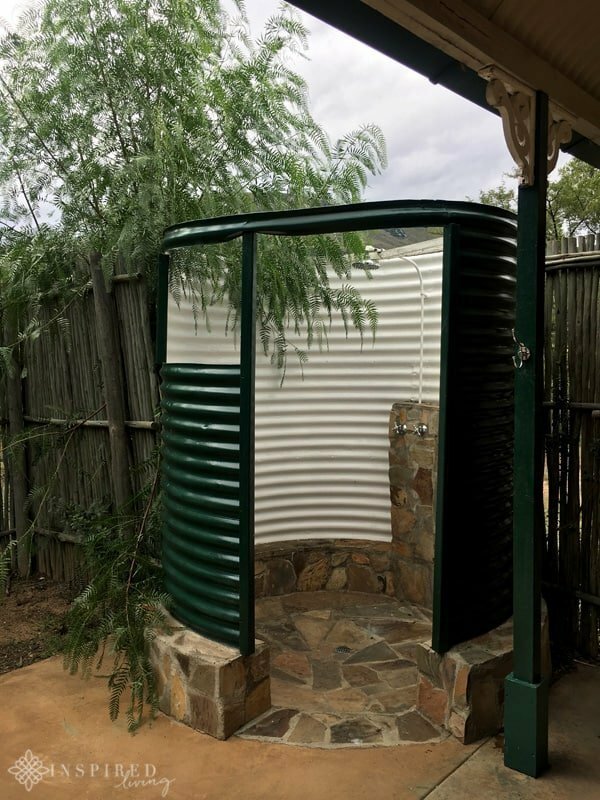 Our suite even had an outdoor shower, with magnificent views of the Eastern Cape Karoo! Something which is very important to me with regards to travel is the level of service and hospitality. A beautiful location and stunning accommodation can very quickly lose their appeal if overshadowed by lousy service and a lack of hospitality. At Samara, excellent service and warm hospitality are what make the overall experience even more special. Our game drives at Samara were informative, as well as being fun and G&T’s while watching Giraffe, was a fantastic way to end the day. An extra special touch was arriving back from a cold game drive, greeted with a warming sherry and a hot bath already drawn. Going on safari is something that has grown on me over the years, not that I have been on that many, but I think the bug has bitten. Something both Grant I struggle with is the early morning game drives. Staying in bed does seem appealing, but once you are out there, it is all worth it, and of course, there is the hot chocolate or coffee to enjoy along the way. 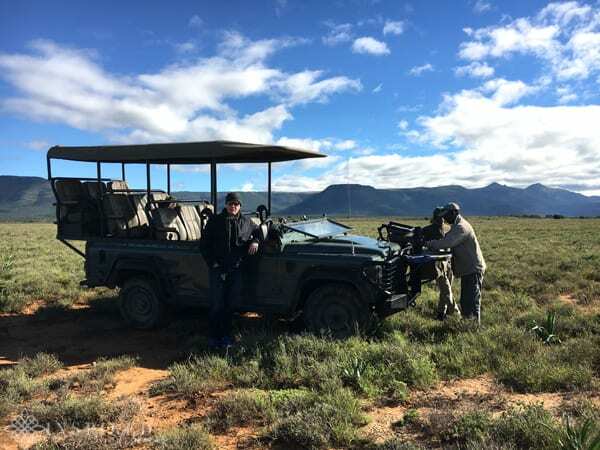 As I mentioned, the attraction of a Safari Adventure, for me, has something to do with the wide open spaces and the feeling of being completely immersed in nature. Then there is the privilege of witnessing “wildlife” in action. It may at times seem cruel, especially when you see a “kill”, but you realise that this is the way nature intended it. We are merely catching a glimpse of how mother nature operates. Survival of the fittest and the circle of life are powerful things, especially when you are in the thick of it. Our guide, Julius, was extremely knowledgeable and a fountain of beneficial information. Unfortunately, we didn’t get to see elephants up close and believe me, we tried! That is us above searching for them and below you can see where they were. I don’t think our group was up to, or equipped for, the hike. We did, however, get to watch a Cheetah chasing and killing a baby Steenbuck. It was a rather exhilarating experience, and I still cannot believe how close we got to them. 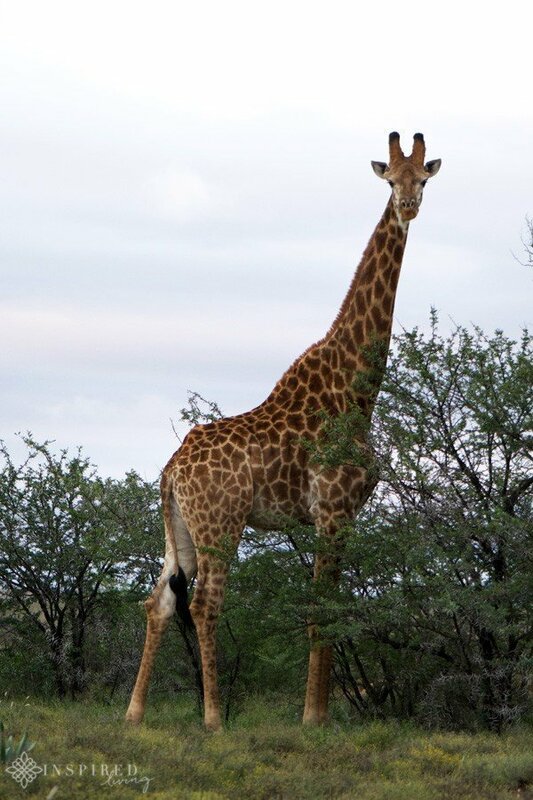 We also saw quite a few Zebra, Vervet Monkeys, Baboons, Eland, Bush Pigs and my favourite, Giraffe. Giraffes are such elegant creatures, and they didn’t even mind us getting up close and personal. 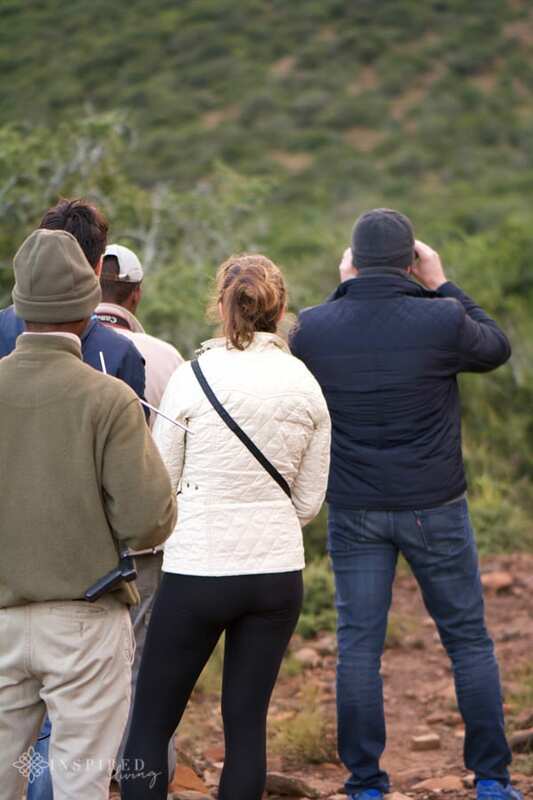 Each guest at Samara pays a conservation fee, which contributes towards the grand vision of South Africa’s 3rd largest protected area, in a Global Biodiversity Hotspot. At 70,000 acres, Samara is the largest private game reserve in the Eastern Cape, located in one of only 36 Global Biodiversity Hotspots. They encompass under-conserved vegetation types and provide a home for many endemic, as well as endangered species. The Samara Game Reserve is also ideally located in the middle of a chain of conservation areas. 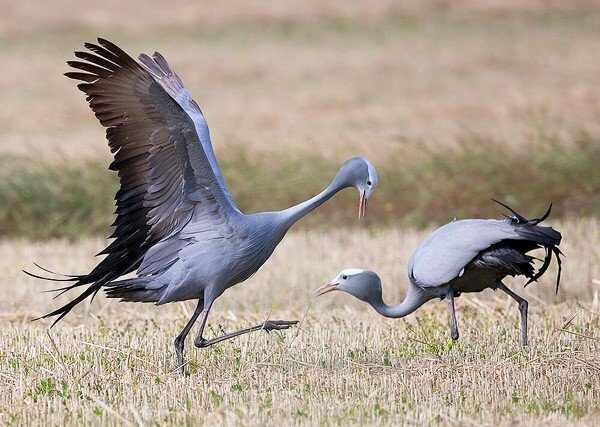 These stretch from the Camdeboo National Park in the west, to the Mountain Zebra National Park in the east. 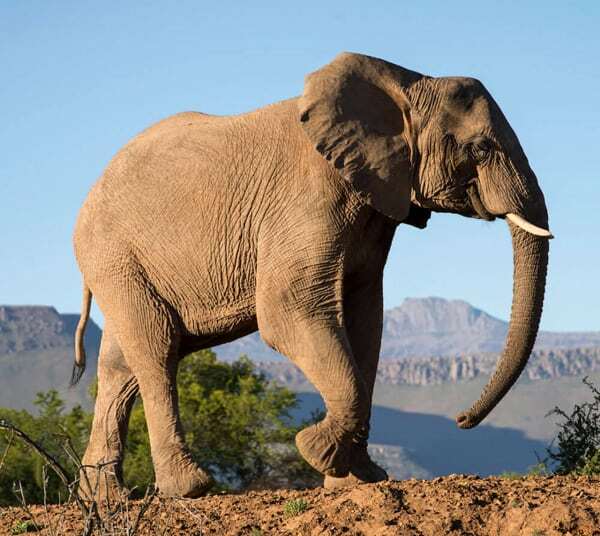 In 1998 a visionary dream by SANParks and conservation NGOs sought to link the two parks through ecological corridors. Samara is a crucial stepping stone in this project and has served as an important catalyst for this grand vision. 1.3 million acres, not traversed by a single main tarred road, stand to create a span of conservation-friendly land where biodiversity can thrive. This ambitious project has already been set in motion. 2016 saw the proclamation of the Mountain Zebra – Camdeboo Protected Environment, placing more than 650,000 acres of land under varying levels of environmental protection. The creation of the mega-reserve could also provide a new model for conservation, since the mechanism for expansion, relies on innovative incentive-based schemes focusing on collaboration, cooperation and co-creation. Rates range from R3170 – R6270 in high season. 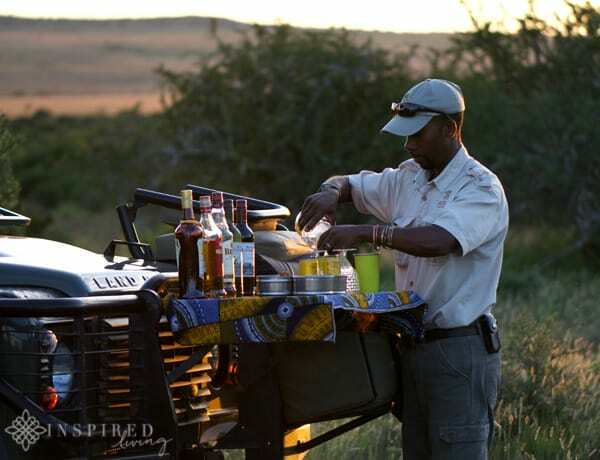 These rates include luxury ensuite accommodation, all meals, tea and coffee, two game activities (drive or walk) daily with experienced guides, a children’s programme (children under eight years are not allowed on scheduled game drives), selected local drinks during game activities, Wifi and VAT. 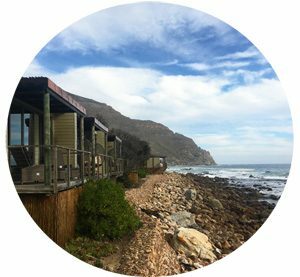 For rate enquiries or reservations you can call us: +27 (0) 31-262 0324 or Email: reservations@samara.co.za. 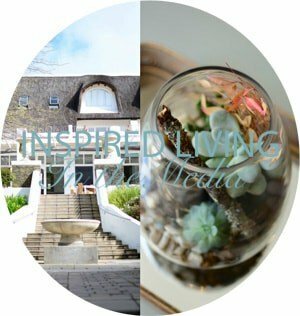 If you would like to arrange a review of your establishment, or are in the PR, hospitality or travel industry, and would like to work with Inspired Living, please email fiona@inspiredlivingsa.co.za. 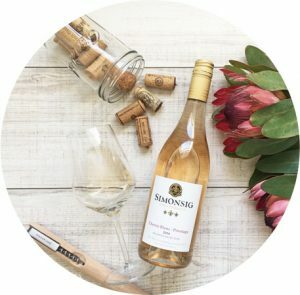 Please note that Inspired Living is also Recommended by CapeTownInsider. 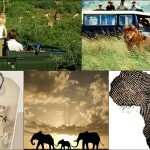 We enjoyed our stay, meals, and activities as guests of Samara Private Game Reserve. All information provided, including prices, are deemed correct at time of publishing. These are, however, subject to change at the establishment’s discretion. Please note that all opinions, content, and images are the property of Inspired Living or Fiona Rossiter unless otherwise stated. To see more, read the full PR & Disclosure Policy below. 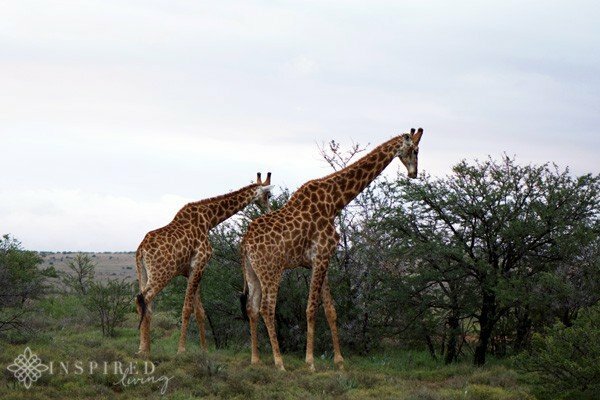 Samara is Luxury Private Game Reserve, located in the Eastern Cape, in the Great Karoo. As well as luxury accommodation Samara offers guests excellent service and welcoming hospitality. 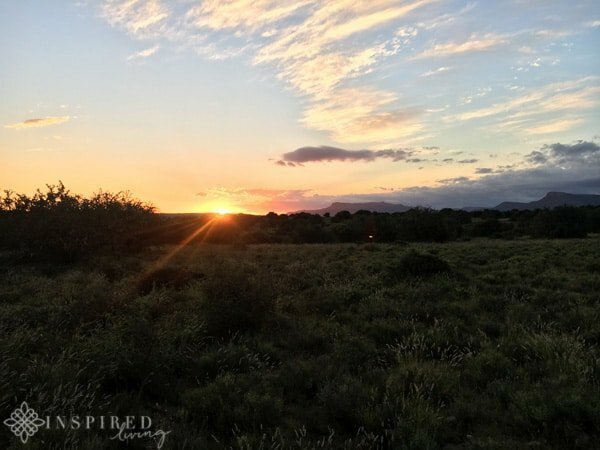 Samara Private Game Reserve is also passionate about its conservation undertaking, making it a Conservation leader this area and a catalyst for change in the Great Karoo region of South Africa. Hi Siobhan it was amazing 😄can’t wait to go on another safari! Perhaps Kruger next – where did you and your hubby go? 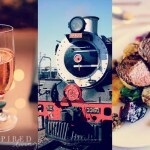 Amazing article, its feels like I was travelling with you to the Samara Private Game Reserve. 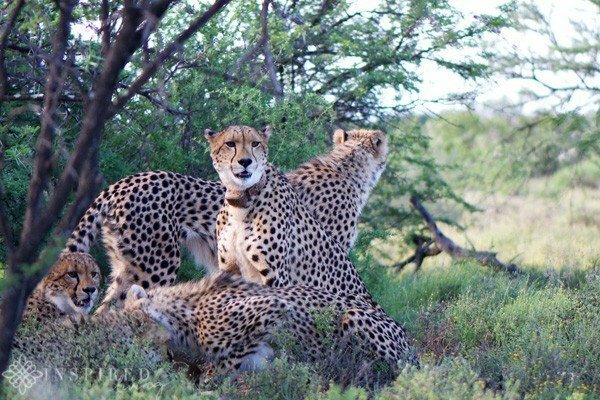 Thanks for the good quality pictures and detailed information in your article, I love animals and I definitely want to visit this game reserve in the future. 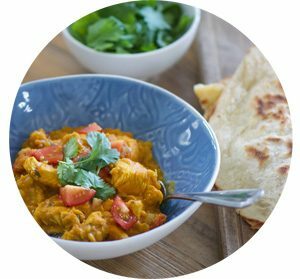 Amazing blog post. 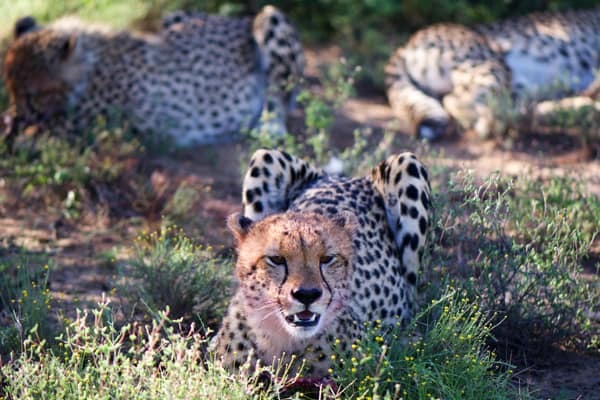 It feels like I was with you at the Samara Private Game Reserve. You article had so much detail and good quality photos which I appreciate. I love animals and I will definitely visit this game reserve in the future.